It is best to fly into Denver International Airport (DIA), which is located approximately 45 minutes away from Boulder. To get to Boulder from DIA, take the RTD AB or ABA bus, which costs $9.00 one-way, if paying on the bus you will need to pay the exact amount on the bus. The bus leaves once an hour, roughly 20 to 30 mins after the hour, from the Transit Center accessed from the south exit on level 5 (look for the large American flag), exit the terminal through the sliding glass doors and take the escalator located in the center of the plaza down to level 1, with further details at http://www.rtd-denver.com/airport.shtml. For more details check at the RTD booth or see http://www.rtd-denver.com/Schedules.shtml. To view schedule to Boulder, hit the “View skyRide schedules — lettered routes, e.g. AB/ABA” link. RTD buses run many routes so it is important that you take the AB or ABA route. The bus makes a few stops on the way to Boulder and then has quite a few stops in Boulder. If you are staying in Buckingham Hall at the Kittredge Complex, please get off the bus at the intersection of Baseline and Broadway and walk north to Kittredge Hall. In addition there will be signs posted for you, directing you to Kittredge. 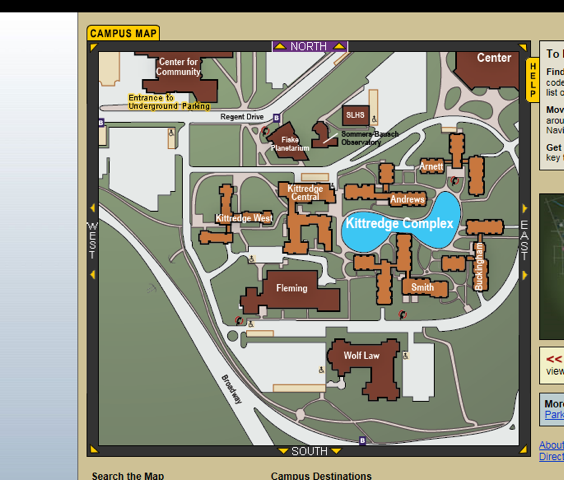 Please consult the map of campus provided in this packet, or on the web located at: http://www.colorado.edu/Directories/WebMap/. Supershuttle (phone: 303-227-0000 or web: https://www.supershuttle.com/locations/denverden/) which provides door-to-door service and also leaves DIA hourly. Green Ride Boulder Shuttle. For schedules, please visit http://greenrideboulder.com/. They will leave DIA 30-35 minutes after the hour. Please go to Level 5 (Main Level), Island 5, Outside Door 504. This is on the West side of the Terminal. The shuttle will deliver you directly to your hotel or Physics building. Unless you requested special housing in your original application, all students will be housed in a double room in Buckingham Hall in the Kittredge complex on the campus of the University of Colorado Boulder. Bed sheets, pillow cases, one set of towels (exchanged during the week) will be provided with your residence hall room but you should bring your own soap, shampoo, hair-dryer, etc. If you would like a larger bath towel you should bring your own. There are no phones in the rooms and no active jacks. The main Buckingham Hall number is is (303) 492-8888 (http://housing.colorado.edu/residences/residence-halls/buckingham). You can pick up your room key in the main lobby of Buckingham Hall from 7am to 12 midnight on the Sunday before the start of the school. If arriving or needing other assistance between 12 midnight and 6 a.m. participants should go to the Kittredge Central front desk (303-492-0033) for assistance available 24/7. You must check out of your residence hall room at the end of the school no later than 12 noon on the Saturday after the last day of the school. Breakfasts (7:00am - 10:30am), lunches (11:00am - 4:30pm) and dinners (4:30pm - 6:30pm) will be provided free of charge on weekdays; weekend meal are not provided by the school. You will be issued a swipe card at check-in that will serve as your room key and meal card for access to the dining facilities. All meals will be held in the Center for Community (C4C) except for 2 catered dinners at Duane Physics, see schedule for dates. You will be on your own for the weekend meals. Boulder offers a large selection of cuisine, which you are urged to take advantage of. Lecturers will be provided with meal cards (free of charge), which they can use to pay for their meals in the Center for Community (C4C). Two catered dinners are included for participants, see schedule for dates. Additional tickets can be purchased for family and other guests. Lecturers who stay through a weekend will be given a per diem of $40 to cover their meals. Family and significant others who are not participants or lecturers will need to purchase meal tickets from the Center for Community (C4C) in order to attend any of the meals in the Dining Hall. Contact Leo Radzihovsky for additional tickets to C4C meals and the catered dinners. Contact Leo Radzihovsky for additional tickets to the picnics. Buckingham front desk (303-492-8888) is open daily from 6 a.m. to 12 midnight, check in is 3:00pm. If arriving or needing other assistance between 12 midnight and 6 a.m. participants should go to the Kittredge Central front desk (303-492-0033) for assistance available 24/7. Sunday evening prior to the start of the School, there will be a 6:30pm-8:30pm registration mixer with light refreshments at Weather Tech Cafe’ in the C4C, signs will lead you to the exact location. If you arrive too late to pick up your registration packet, i.e., after 8pm, please note that the first lecture starts on Monday morning, at 8:30am in the Duane Physics building, G130 (1st floor, one up from the ground level). All lectures (with any exceptions announced well in advance) will be held in the Duane Physics building, room G130, a 5 minute walk northwest of Kittredge. Typically there will be two lectures in the morning, 9:00am-Noon and one after-lunch lecture at 2:00pm-3:00pm, followed by a daily discussion session. Some additional seminars and discussions will also be held, with a detailed schedule found in this packet. As well as posted on the web here for the current school. All students are strongly encouraged to present a poster at the school. Details about the posters will be contained in the admission letter and the Poster Session Schedule is posted here for the current school. All sessions will take place in the faculty lounge on the 11th floor of Duane Physics Building. Students are also encouraged to organize their own seminars and study groups. These can be held in the evenings or available time in the afternoons in our main lecture room G130. Copies of lectures notes will be available during the School. Soon after end of the School, these will also be available on the Web. Students and all lecturers from US schools, please submit your reimbursements to Nicole Simmons in the physics main office, Duane E1B32. Make sure to provide your name, your mailing address and all airline receipts. If you come by car please produce original credit card receipts for gas and tolls as evidence of travel. International visitors will need to fill out a W-8 BEN tax form in addition to any reimbursement paperwork. Your reimbursement check will be mailed to your mailing address within approximately 4-6 weeks. If your computer needs are more serious than just following the latest condmat preprints or the stock market and news, then the PC’s in the PC lab on the 1st floor of Duane Physics building, Rm. G116 will also come in handy. The lab is open 24 hrs and requires an Identikey login and password. Login information will be available in your registration packet. Pay for print cards are available at Norlin Library, and other locations. A credit card must be used to activate the card. All University of Colorado buildings, including the Physics building and Buckingham residence hall offer free wireless internet access through UCB Guest. WiFi on CU Boulder Campus. If you are not able to get your poster printed before you leave home (or are unable to easily transport), you may get posters printed at FedEx Office (http://local.fedex.com/co/boulder/office-0402/). In general, however, you should not count on getting any serious computing done while you are here. Instead focus on lectures, interactions with other students and lecturers, thinking, and the outdoors. Recreation facilities (pool, weight-room, basketball court, ice rink, etc. …) are available at the CU Recreation Center by showing your white Guest Card and paying $7 per day or $56 monthly (see, http://www.colorado.edu/recreation/ to confirm hours of operation and further information). Please use either Norlin Library (303-492-8705 or http://ucblibraries.colorado.edu/norlin/) or Commons. To check out books from the library you will have to sign up for all campus library privileges at the Circulation Desk in Norlin Library by presenting a photo ID. Boulder and its surroundings offer a large spectrum of first rate outdoor recreational activities, which include hiking, mountain biking, running, rock and ice climbing, white water rafting, fishing, bird watching, outdoor concerts, and numerous local microbreweries. Chautauqua Park, an area right in front of the Flatirons mountains (the signature peaks appearing in most photos of Boulder), south-west of campus, is a must-visit park with a huge selection of trailheads, best heading to Green and Bear mountains. Another attraction, closer to campus is the Creek path, (just north, down hill of Duane Physics building), which runs along the Boulder Creek from the foothills, several miles west of town, to the prairie, several miles east. Pearl Street Walking Mall, located downtown Boulder, approximately a mile north of campus is also a must place to visit and to hang out in the evenings. If you have a car, I strongly recommend that you visit Rocky Mountain National Park, approximately 50 miles north-west of Boulder. Bicycle rentals are available through the University at discount rates for university guests (http://www.colorado.edu/ecenter/transportation/bicycle/buff-bikes), as well as Boulder Bikesmith (http://boulderbikesmith.com) and University Bicycles (http://ubikes.com). Also, there are a number of B-Cycle stations around town for short rides (https://boulder.bcycle.com/). Boulder is extremely bicycle-friendly with numerous paths and racks around town. We have secured a 50% discount for renting bikes around town, click here for details. For more details please consult information enclosed in your registration packet on hiking and Boulder surrounding or purchase one of many guides to the Boulder area. Please make sure not to give out this address for something, e.g., magazine subscription, that will continue coming even after you leave the School. University of Colorado and NSF does not take out any health or accident insurance for the lecturers and participants of the Boulder School; this is your individual responsibility. Parking permits are required to park on the CU Boulder campus. Purchase your permit through ParkMobile by selecting your group and dates. License plate required to purchase permits. Park only in Lots or Zones designated with purchase. Boulder is at an altitude of 1 mile above sea level. The weather is sunny, 80-90 Fahrenheit or even hotter during the day and drops by 10-20 degrees in the evening; the humidity is nonexistent (drink plenty of water!). While sunny weather is the norm around here, Boulder weather is notorious for quick changes, especially in the mountains. On hikes you will have to be prepared for bright sun, wind, rain, heat, cold, and snow, so hiking boots, long pants, a jacket and a hat as well as sunscreen are essential. For more information on the local weather see https://www.wunderground.com/us/co/boulder. Boulder has a very extensive bus system. If you would like to visit a location beyond the vicinity of campus, visit http://rtd-denver.com/ for bus route information. For more detailed information about Boulder such as maps, weather, recreation see http://www.colorado.edu/visit/. For more information about the University of Colorado at Boulder, please see http://www.colorado.edu/.